"The most eloquent and most convincing testimony against the policy of 'Don't Ask, Don't Tell' comes, as such testimony usually does, from those who have paid the highest price for the policy's failings. 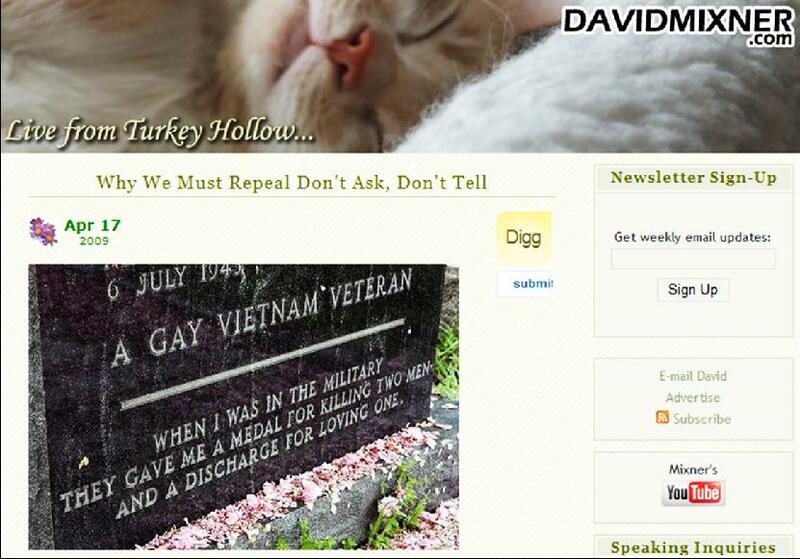 And the most compelling I have ever read is on a tombstone in Congressional Cemetery, not far from the Capitol." 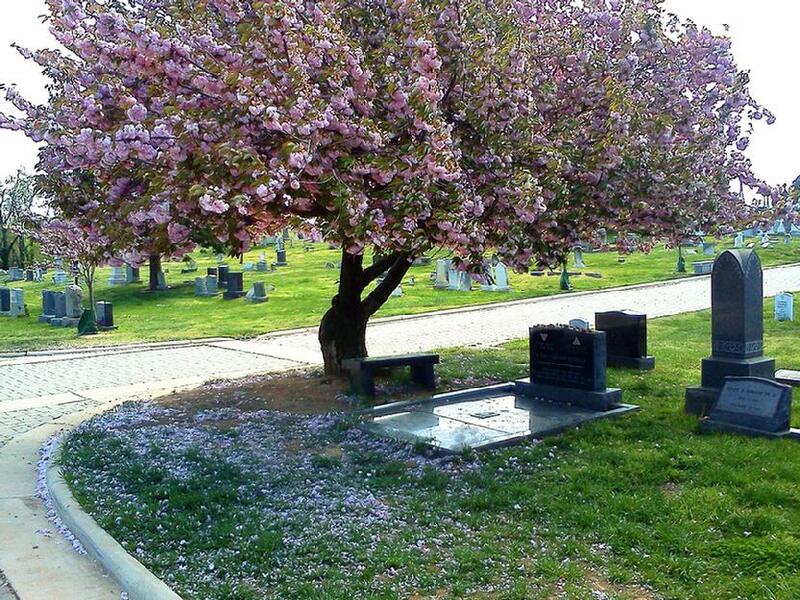 TO CEMETERY & THE GRAVESITE. 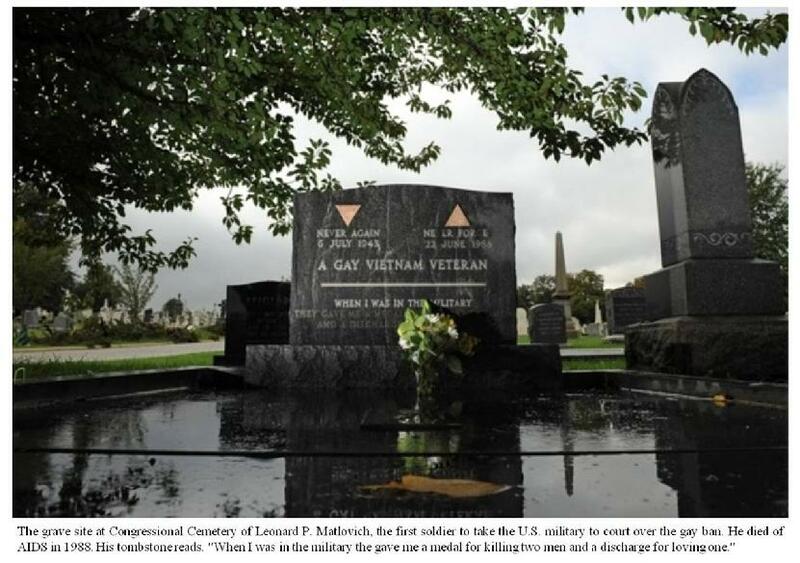 LEONARD PERSONALLY DESIGNED his internationally known tombstone, incorporating the same kind of reflective black granite that was used in the construction of the Vietnam Veterans Memorial Wall, inset with his famous quote and pink triangles referencing the emblem used to mark gays in Nazi concentration camps. NOTE IT DOES NOT bear his name—his last name inscribed at the foot of a granite grave border was to be the only indication that the grave was his. 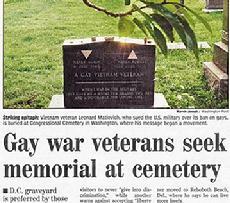 He wanted the stone itself to serve as a memorial to all gay veterans. 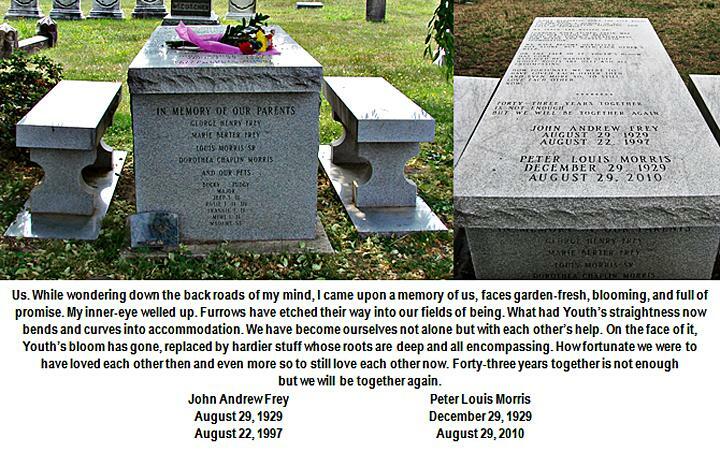 He got the idea after being moved by the oft-visited graves of Alice B. Toklas & Gertrude Stein [who share the same stone] and Oscar Wilde in Père Lachaise Cemetery in Paris, and realizing that in America, filled with countless places memorializing its straight-identified forebears, there are few such places where gays can remember and honor their own. In that spirit, he later began a project to build a DC memorial to Harvey Milk but passed away before enough money could be raised. 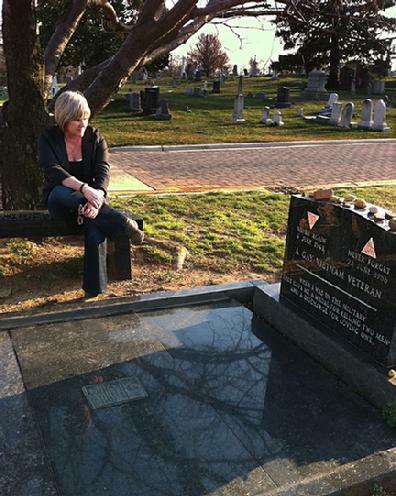 WHILE LEONARD WAS eligible to be buried in the same place most veterans identify with, Arlington National Cemetery, he chose Washington DC's Congressional Cemetery instead, which he discovered on one of his frequent walks near his then home. 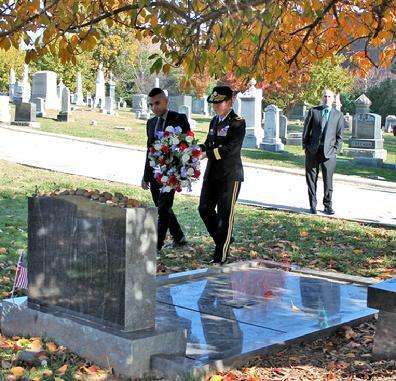 Though smaller, it is half-a-century older than Arlington, and he loved its variety of individual stones versus Arlington's hundreds of thousands of identical markers. 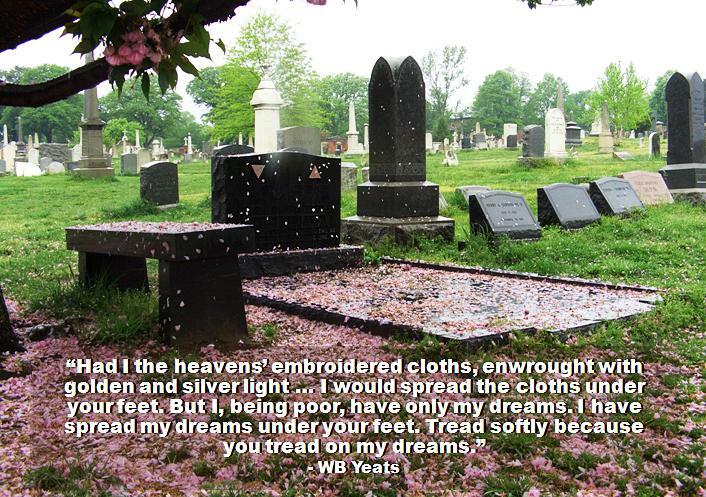 He also was amazed to learn that Peter Doyle, Walt Whitman's great love, is buried there, and couldn't resist the last laugh of being buried in the same row with the loathsome and apparently self-loathing FBI legend J. Edgar Hoover and Hoover's associate director, longtime best friend, heir, and some believe romantic partner Clyde Tolson despite both having engaged in harassment of gay rights groups. Tolson's grave, marked by a pink granite stone, is just five plots to the right of Leonard's, and the Hoover family plot is several yards further down. 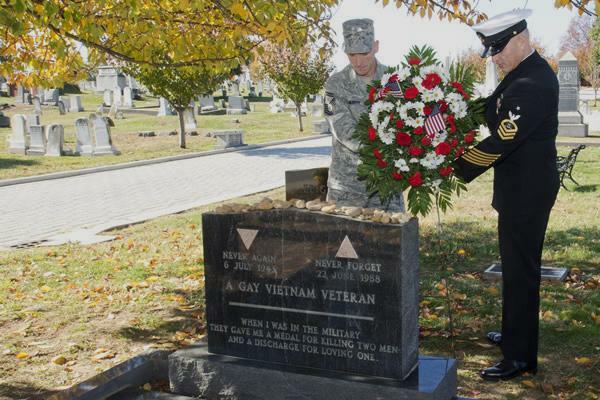 IN A TOUCHING TRIBUTE no one anticipated, a growing number of other out gays, including veterans and couples, have since chosen to be buried in the same once obscure graveyard such as gay rights pioneers Randy Wicker, Barbara Gittings & Kay Lahusen, and others shown below. 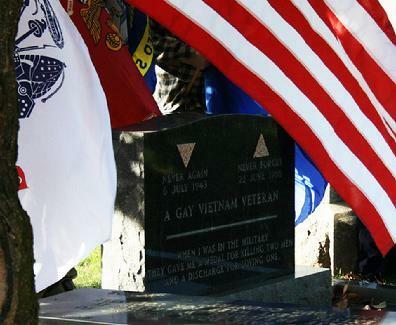 Members of American Veterans for Equal Rights have purchased eight nearby adjoining plots to create a LGBT veterans memorial. 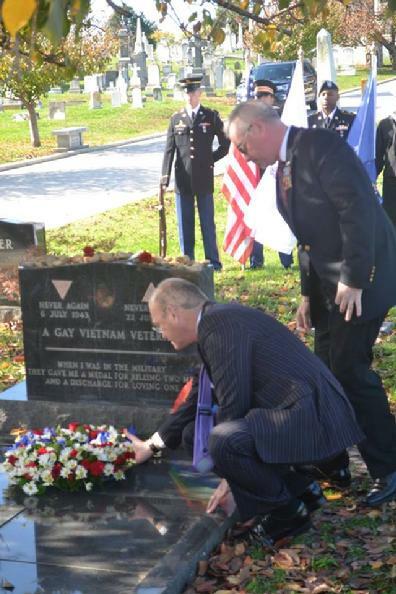 And at his graveside every Veterans Day, there's a gay veterans memorial service. The site is included in the book, Progressive Nation: A Travel Guide with 400+ Inspiring Landmarks. Leonard purchased two side-by-side plots, one intended for a future partner. Today, each plot would cost thousands more. Click left image to see receipt. Right: the day he first saw the stone he'd designed in place. of the heaven that saints and poets have imagined." - Bertrand Russell. 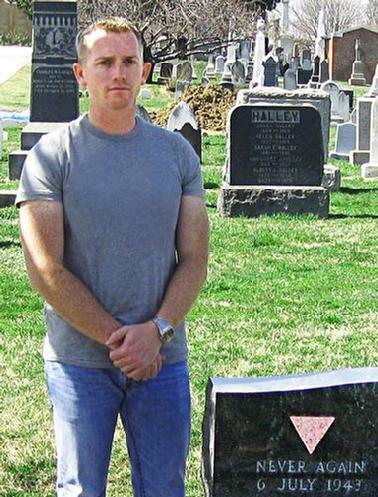 In May 2011, gay Iraq veteran and then-Capt. 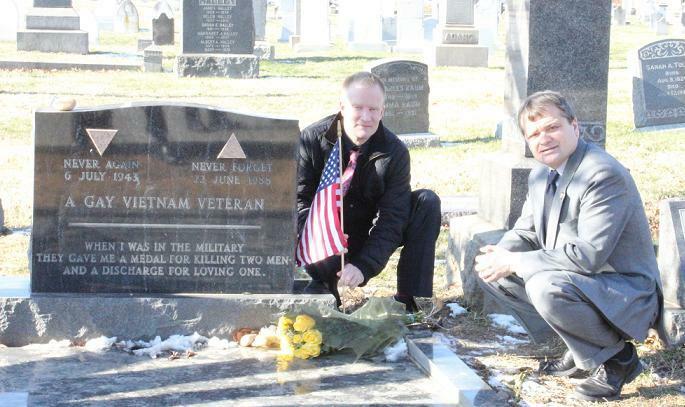 Stephen Hill, who was infamously booed by audience members during a Republican presidential candidates debate, and his partner Josh Snyder chose to be legally married next to Leonard's gravesite to honor his having begun the first organized fight against the military ban. Ohio, where they make their home and are leaders in the fight for state marriage equality, has legally recognized their joining their last names as Snyder-Hill. 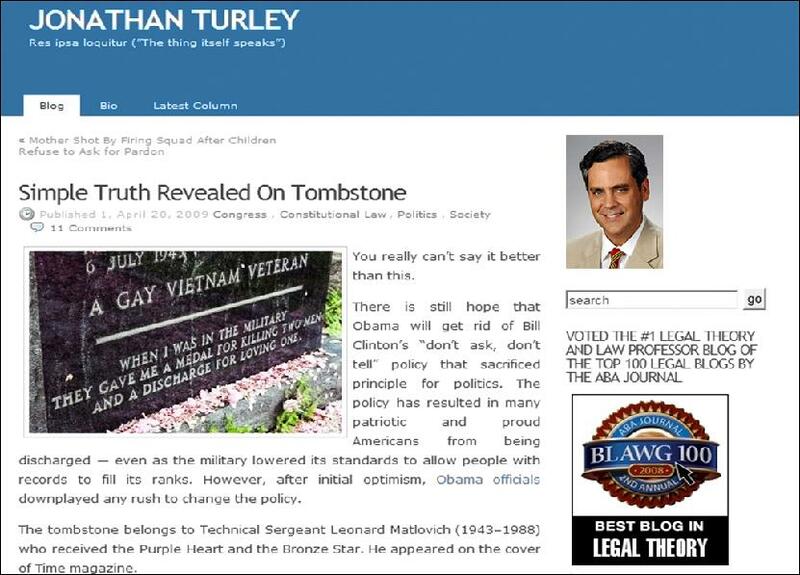 Click on the photo for an interview in which they talk about that and their participation in a lawsuit to secure gay military couples equal benefits. 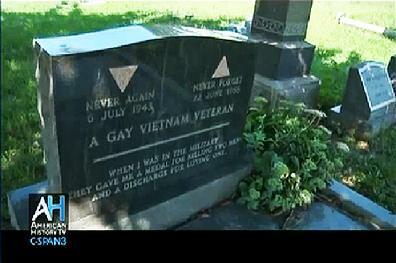 A longer video interview, including their account of their experiences at his gravesite, is here. 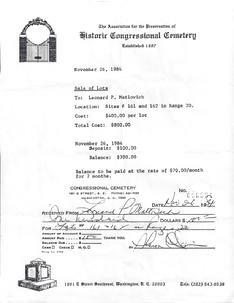 They have purchased the plot next to Leonard for their own final resting place someday. please click on the thumbnail at right. Frank Kameny, World War II veteran, father of the modern gay rights, and the first to conceive of a premeditated test case against the ban, was Leonard's inspiration and mentor. 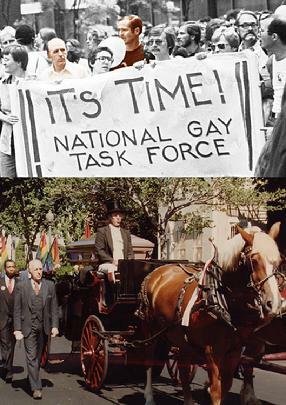 Top left, they are shown in New York City's 1975 Pride Parade. Bottom left, Frank walks beside the caisson carrying Leonard to his final rest in Congressional Cemetery in 1988. 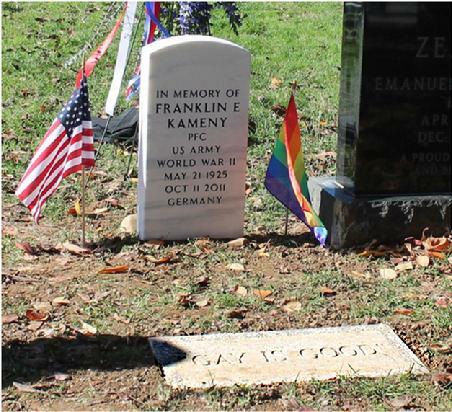 In 2011, Frank himself passed, and he is memorialized in the row and to the left behind Leonard with a Veterans Administration marker and a separate stone quoting the expression he coined and said he most wanted to be remembered for: "GAY IS GOOD." Barbara Gittings & Kay Tobin Lahusen were partners in life and married in their hearts for 46 years. Both were close allies of Frank Kameny [right] with whom Barbara [left with Leonard] helped convince the American Psychiatric Association to declare gays are not mentally ill, and fought dismissals by the Defense Department of gay civilian employees. She also created the first bibliography of books about gays, founded the New York chapter of the lesbian rights organization the Daughters of Bilitis, and edited their magazine, "The Ladder." In addition to being a cofounder of New York's Gay Activist Alliance, Kay authored the first book on Movement pioneers, 1972's The Gay Crusaders, and photographed many of its iconic events such as the first White House protests in 1965. Their memorial bench is on the right side of the lane about half-way between the chapel and Leonard's grave. 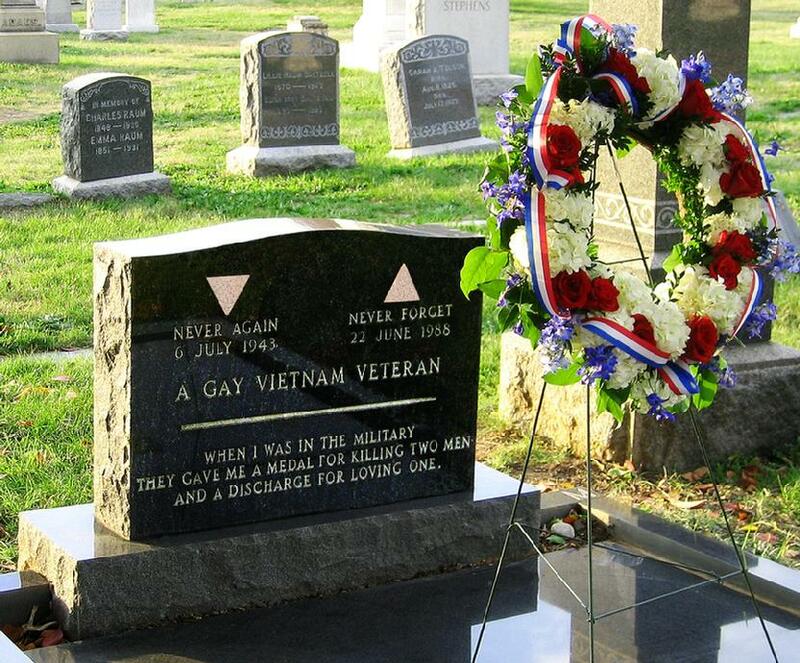 For larger images of other gay grave sites in Congressional Cemetery click on the thumbnails below. 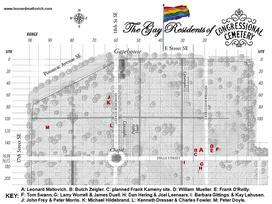 Click on the image at the right for a printable map of the sites and some biographical information. "Forty-three years together is not enough...."
THE REMARKABLE GRANITE PICNIC TABLE with a moving love poem engraved on its top marks the graves of longtime partners John Frey and Peter Morris at Range 62-63, on the right side of the lane walking from the Cemetery office toward the Chapel. Together 43 years, they met while Catholic University students at DC’s then most popular gay male establishment, the piano bar/restaurant the Chicken Hut on H Street near Lafayette Park where biweekly, Sunday afternoon gay dances were later sponsored by the Mattachine Society of Washington in 1961 & 62. Frey was a Fulbright Scholar, professor of Romance Languages at George Washington University, and author of books on Victor Hugo and Emile Zola. Morris was an expert French cook, and on the Board of Directors of Dignity for whom he coauthored a community cookbook. 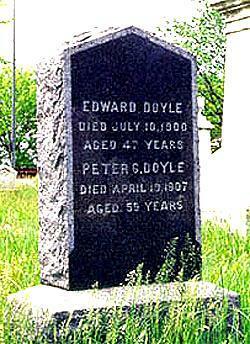 One of the reasons Leonard chose Congressional Cemetery was because Peter Doyle is buried there next to his brother. The former is considered to be the greatest love of legendary American gay poet Walt Whitman. The two met on the Washington DC Navy Yard horse-driven streetcar for which Doyle was the conductor. I give you myself before preaching or law: Will you give me yourself? Will you come travel with me? Shall we stick by each other as long as we live?" 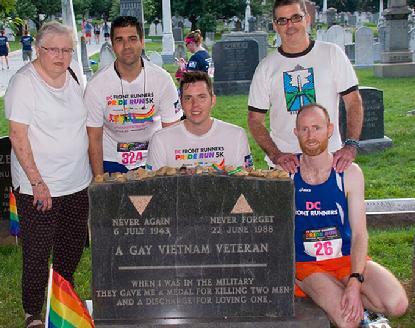 To honor Leonard and other gay rights pioneers, since 2013, DC Front Runners have held their annual Pride Run & Walk in Congressional Cemetery the night before the Capital Pride Parade. The 5K race begins and ends next to Leonard's gravesite. Click photo to read full article. 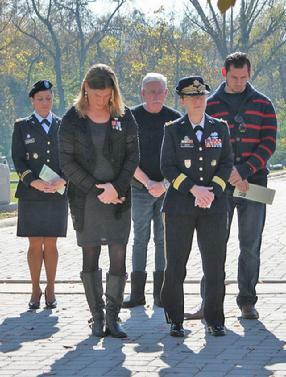 Front, left to right: transgender activist and Navy SEAL veteran Kristin Beck, Brig. Gen. Tammy Smith, US Army Reserve. Army veteran Eric Perez and Brig. Gen. Smith. 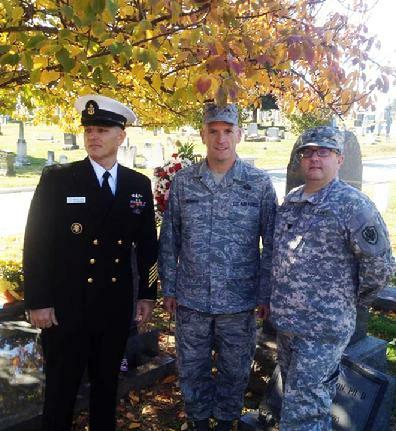 SCPO Beebe-Franqui, SMSgt Murphy, and organizer of the observance, LTC Todd Burton, Army National Guard. SCPO Beebe-Franqui and his husband Jonathan. 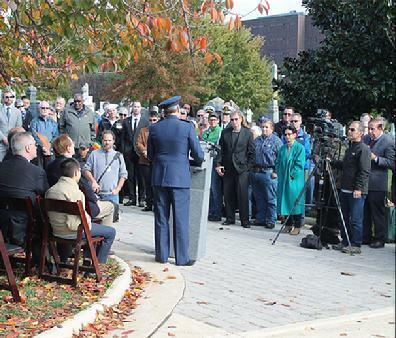 2011 Veterans Day Observance. 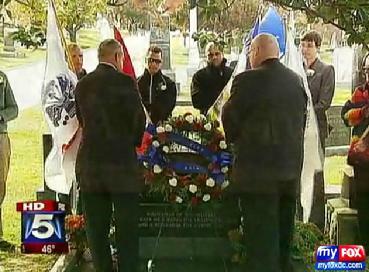 Left to Right: ban victims, former Lt. Dan Choi, Sgt. Ian Finkenbinder, & Capt. Jim Pietrangelo. Photos by Tracey Hepner. 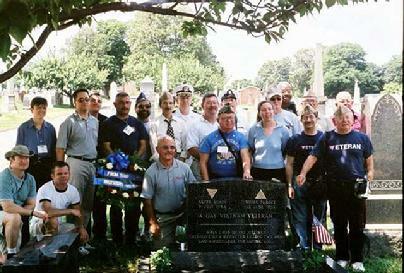 Clockwise: In November 2010, gay veterans Ian Finkenbinder, Miriam Ben-Shalom, Jim Pietrangelo, Mara Boyd, Rob Smith, transgender veteran Autumn Sandeen, gay veterans Dan Choi and Evelyn Thomas, most of them victims of the ban, participated in an event at Leonard's grave before a day of protest which included being arrested for handcuffing themselves to the White House fence. Photo by Sean Carlson, Talk About Equality. 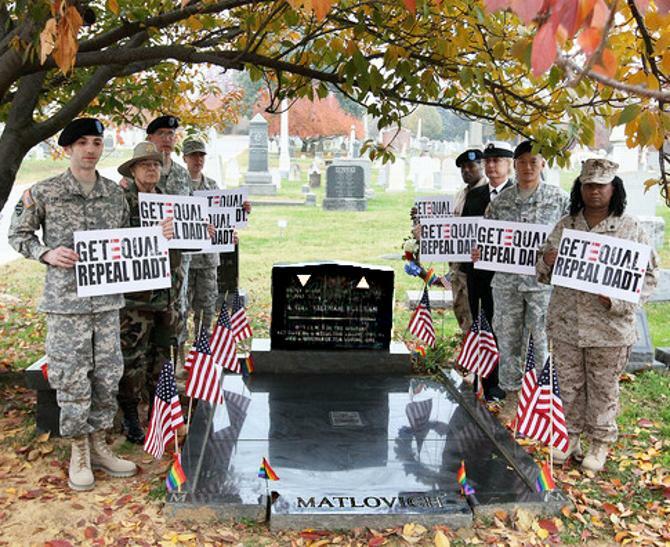 Photo in "The Washington Post" the day after DADT repeal was implemented in September 2011. The caption is incorrect, however, as lesbians Vicki Champagne and Sandra Stout challenged their discharge in court in 1973. The difference is that Leonard intentionally outed himself to the Air Force in 1975 to create a test case. 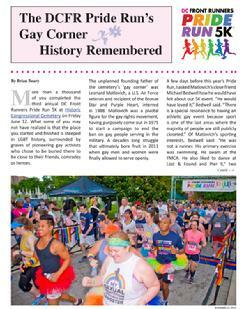 Click on photo to go to page with videos & photos of major 2009 memorial. 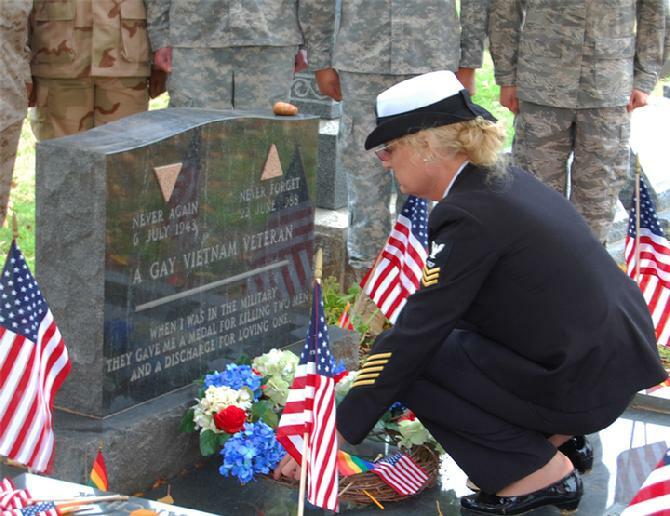 Australia ended their ban on gays in the military in 1992. 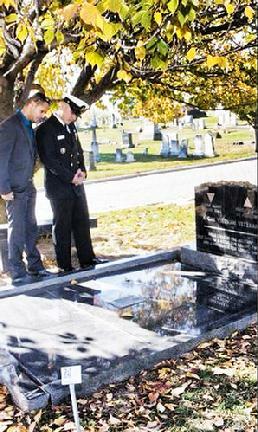 Royal Navy Chief Petty Officer & gay rights leader Stuart O'Brien traveled to the United States several times to help lobby Congress to end the ban. 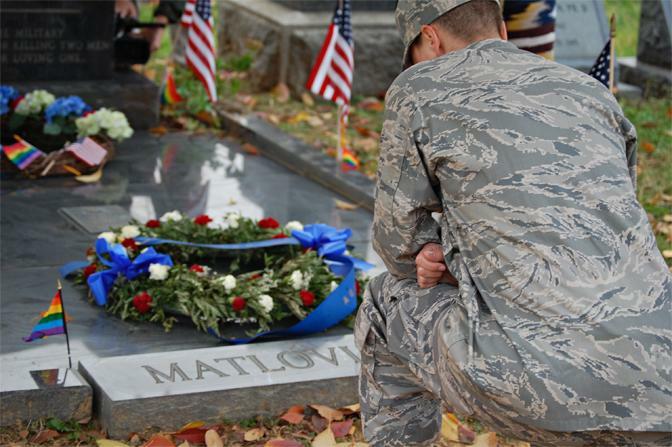 Now retired Air Force Major Margaret Witt won a landmark court victory against the ban in 2010 ordering her reinstatement. 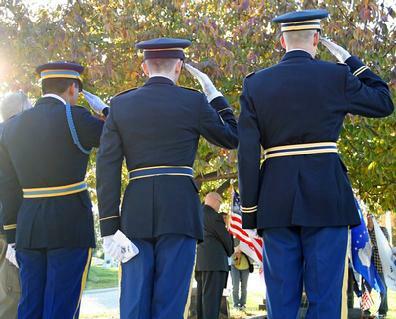 "One of the reasons I fought my discharge was to continue what Leonard had started." 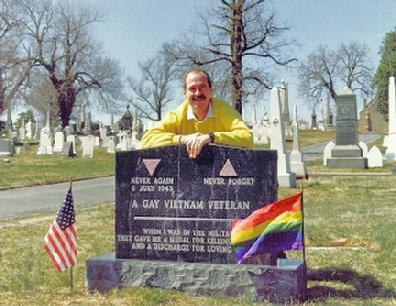 In 1995, longtime ban opponent and Chicago American Veterans for Equal Rights chapter President Jim Darby & his partner Patrick Bova had a commitment ceremony next to Leonard's grave. Click to read 2003 "Washington Post" article. 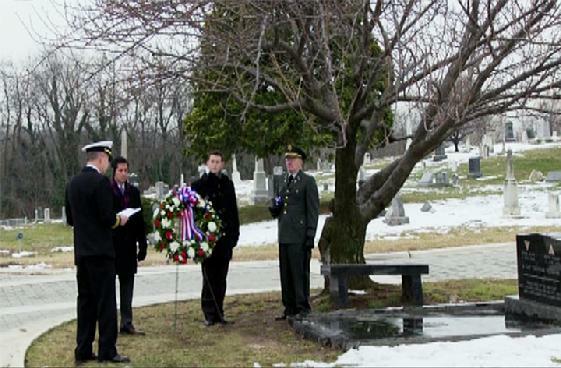 C-SPAN's American History TV series broadcast a tour of the cemetery. Click on photo to view program online. 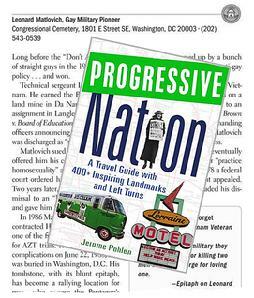 Travel guide “Progressive Nation” includes Leonard’s gravesite along with Underground Railroad sites, landmarks in the battle for women’s suffrage, & the site of the Haymarket Labor Riot in Chicago. 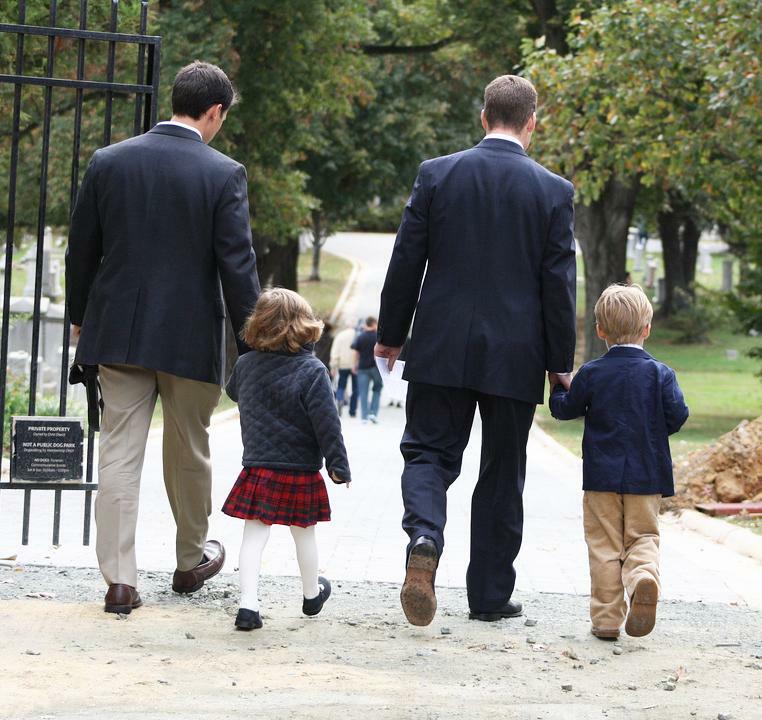 Former Navy Top Gun Tracy Thorne-Begland, right, who outed himself on “Nightline” in 1992 to help end the ban, his husband Michael, and their children, Logan and Chance, enter the cemetery for the 2009 memorial.